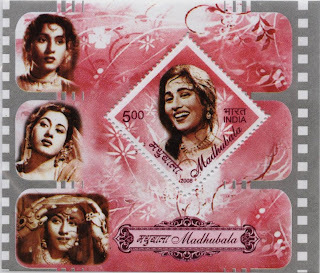 Probably a pointless post to flaunt my Image collection and Memory ..
Madhubala personified an Innocent beauty and won millions of hearts with her smiles. Raj Kapoor's 1985 movie, Ram Teri Ganga Maili which has acquired a cult status now, got famous for this bath sequence and carved an instant celebrity status for Mandakini. 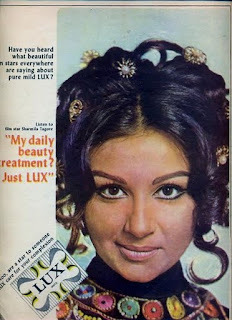 Sharmila Tagore on a Lux Print Ad. Yes, I am Sharmila fetish .. like millions of Indians. From Ray's Apur Sansar to the jury at the Cannes ... Her's is an Illustrious ride. Milind Soman in Captain Vyom. My schoolpals liked Shaktimaan and I liked Captain Vyom. I Used to travel to my friend's home to admire his Sci-Fi gimmicks every sunday .. I guess the time slot is 10:30 AM. Timeless, Classic ... RKNarayan, Period. Mukesh Khanna in Shaktimaan . Parle-G's Business strategy was one of the best this country has ever seen. Shaktimaan stickers with the Rs.3/- Parle-G packs was a business blockbuster, then. Children reportedly jumped off from the terrace expecting a saviour in Shaktimaan. Madhuri Dixit on Illustrated Weekly cover. Madhuri was the Indian face of beauty before Aishwarya Rai took the honour. Madhuri was so famous in Pakistan that there was once a poster in Lahore stadium declaring, “Madhuri de do, Kashmir le lo (Give us Madhuri, take Kashmir)”. Ray's Apu Trilogy completes 50 years in November, 2009. Durga was my favourite character in "Pather Panchaali" outscoring the title boy Apu. 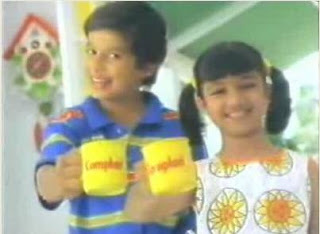 Complan Kids: Shahid Kapoor and Ayesha Takia. 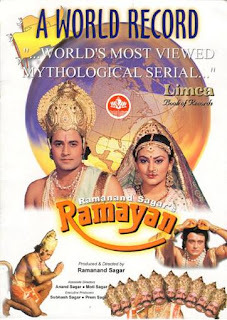 I have to mention Ramayan. naan ramayan parthunde dhan sapduvenu adam pidipen, later it was Mahabharat ! I have really fond memories of watching the re-run lying on paati's lap. First of all let me tell you, that I enjoyed this post. I came here following a Google Search on Captain VYom, to revitalise my memory, as I used to be a big fan of this, Milind Soman's sci-fi. I was wondering if by any chance, you have the episodes of this series. I wish to collect those for my personal collection. I wish you could help.